It is that time again and we have just closed the second-quarter as well as first-half of 2013. It has been a decent start with plenty of ups and downs and I am glad that we have our portfolio positioned to enjoy more ups than down entering the second-half of 2013. We had plenty of developments which rattled the markets and the global rally as well as fiscal health of the global financial systems began to show its cracks. Bernanke suggested that there could be an end to QE which has dumb money investors begging for worse economic news and is one of the clearest sign that the global equity market rally we saw from 2009 was built on nothing but stimulus which artificially propped up prices based on hope that inflated equity markets would spill over and create sustainable economic growth; massive fail! The housing recovery was credited with a substantial amount of praise and cited as key to the economic recovery in the U.S. Ben Bernanke just killed the housing recovery with his remarks of the end of QE which pushed interest rates higher and makes affordability of mortgages that much more difficult for an American dying middle-class who can’t afford to purchase home to start with. Dumb money has credited with Ben Bernanke with saving the U.S. economy which displays one of the reasons why dumb money is called dumb money. Ben Bernanke successfully kicked the can down the road and passes the issues on to the next Fed Chief starting in January of 2014 which may be, unfortunately, Janet Yellen. Bernanke seems to ignore the fact that there is a public record of who initiated a moronic fiscal policy which will boomerang back and history will show that Bernanke’s monetary maneuvers created a temporary spike before bringing down the house. That was exactly what smart money expected him to do and all those who think Bernanke did a great job place them in the dumb money camp and most likely are happy to do so. Obama-Bernanke is the worst combination for the U.S. economy as well as for the U.S. budget. It is a dream team of destruction which was supposed to be placed in office for one term only, unfortunately plans have changed and they were allowed by decision makers to remain at powerful positions in order to do what they were born and raised to do; fail! Obama did a great job portraying his lack of intelligence and promoting his socialistic health agenda while ignoring the economy altogether which will start to extremely backfire starting in the second-half of 2013 and going into Senate election season in 2014 where Republicans as well as Tea Party activists will take away seats from the socialists and regain control of the U.S.
Obama is not the only failure in office around the world; he is joined by Merkel, Hollande as well as Abe in Germany, France and Japan. Investors as well as traders should fasten their seatbelts for a spike in volatility which will reduce the size of global portfolio over the next few years by over 50% while smart money should quintuple or more their accounts in the same time frame. The amount as well as combination of pathetic stupidity in the global political as well as monetary arena is unmatched in history and they will do an outstanding job in catastrophic mistakes and harmful policy decisions which will sink the global financial world into the abyss. 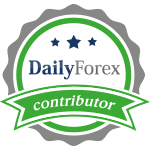 On the forex front we expect the AUDUSD together with the GBPUSD to outperform counterparts in the second-half of 2013 and the AUDUSD is our Hot Forex Trade of the month for July.